If you are thinking about taking a home pregnancy test or you have already had a positive home test, it is important to have a medically verified test. Eastern Pregnancy Information Clinic of New Bern or Kinston will provide you with a free lab-certified pregnancy test. You will have the results during your appointment. 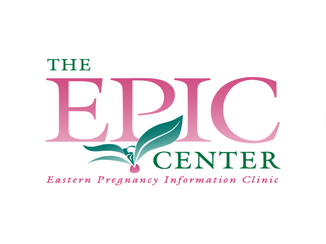 The EPIC Center tests are laboratory rated. They can detect the hCG pregnancy hormone as early as 7 days after conception or 21 to 24 days after the first day of your last period. The test is over 99% accurate. If I'm not pregnant, what causes a missed period? Stress (finals in school, relationships problems, moving, loss of a loved one, losing a job, travel, etc.) Illness, dieting, heavy physical exercise, extreme overweight, change in daily routines. Birth control—some types of hormonal birth control (such as Depo Provera and Norplant) may cause light periods or none at all. Recent pregnancy—women who breastfeed often don't have regular periods. It may take several months for the menstrual cycle to return to normal after childbirth, miscarriage, or abortion. Could I have a positive test at home and a negative test at The EPIC Center? A urine pregnancy test analyzes the presence of the pregnancy hormone, hCG. hCG is released into the mother's circulation almost immediately after implantation (5-8 days after conception). Sometimes the embryo fails to implant properly in the uterus or is rejected by the uterus leading to an early pregnancy loss (EPL). This is usually followed by a normal or slightly heavier than normal period which may be a few days late. When EPL occurs, hCG concentrations in the urine peak about 2 weeks after conception then drop quickly. Our medical director recommends that if you miss three or more periods in a row without being pregnant, you should see your health care provider for assessment. If you need resources for health care, The Epic Center can provide referrals. Call today for a confidential, free pregnancy test!